Y'all can keep sleeping on thrift shopping, but I'm not. I'm almost addicted to it. It's exciting to see what one of my favorite thrift boutiques will find next. I literally stalk the boutique everyday, and my stalking efforts have been rewarded. 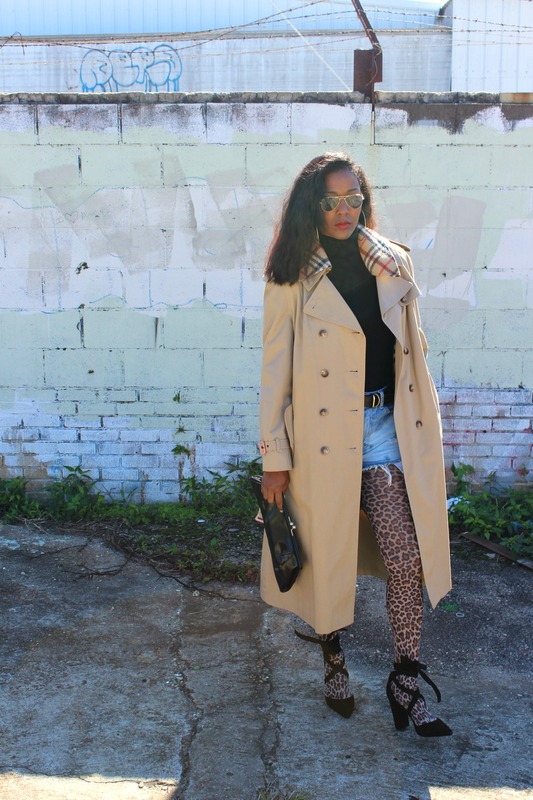 Check out the trench coat I got for under $100 below! I am in love with this coat! Some days I open up my coat closet just to stare at it (don't judge me, I'm just admiring art). This coat is heavy, warm, and can be worn with multiple looks. 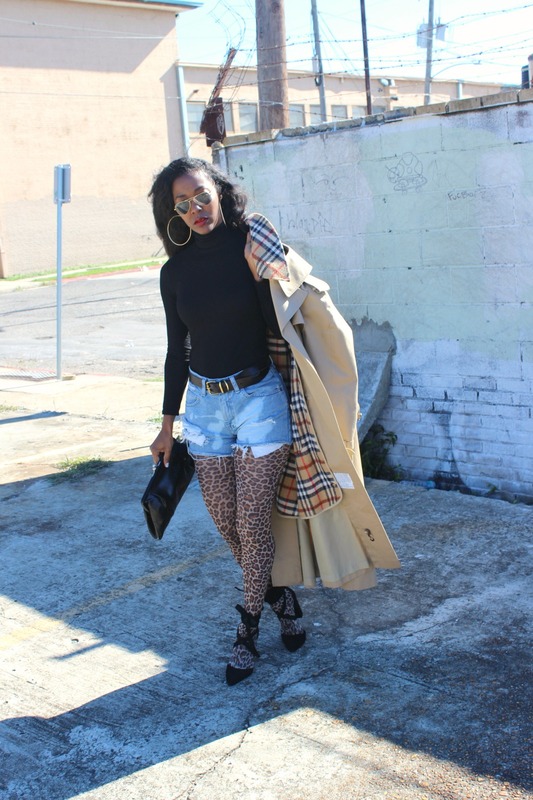 On this day, I paired my trench coat with a black turtle neck, my cut-off/homemade Wrangler shorts, some opaque/leopard tights, and my Steve Madden Pumps (similar pair here). 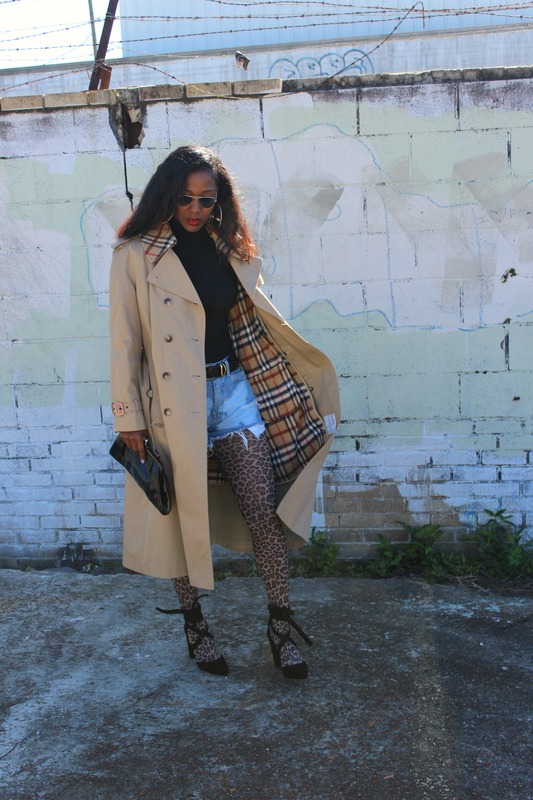 I purchased this coat from Shop Vintage Bowtique which can only be found on Instagram. This boutique has everything from affordable Ralph Lauren Blazers to leather handbags! I'm super obsessed with this boutique! Thank you all for tuning in weekly and supporting me. I appreciate you more than you know. My goal is to be the best version of me and to encourage you all to do the same. Let's rock this journey called life and stylish clothes together!